Eliza Lucas was born on the Caribbean island of Antigua in the West Indies in 1722, the daughter of Lieutenant-Colonel George Lucas of the British Army and his wife. She had two younger brothers and a younger sister. Eliza attended a finishing school in England where French, music, and other traditionally feminine subjects were stressed, but Eliza’s favorite subject was botany. In about 1738, the Lucas family migrated from Antigua to a farming area near Charleston, South Carolina, where Eliza’s mother died soon thereafter. George Lucas bought several plantations, but he was soon recalled to Antigua, and Eliza was left to take care of her siblings and to manage his three plantations. While separated, Eliza and her father corresponded regularly regarding business and family matters. Along with the letters, her father also sent her seeds to plant. She was determined to find a cash crop to pull the plantation out of debt, pay for its upkeep, and support the family. In her letters, Pinckney describes her efforts to grow various crops, and specifically her hope that indigo might prove to be the resolution to the family’s financial dilemma. 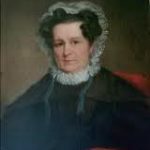 Eliza Lucas Pinckney, probably the first important agriculturalist of the United States, realized that the growing textile industry was creating world markets for new dyes. 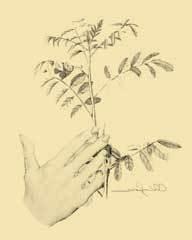 Starting in 1739, she began cultivating and creating improved strains of the indigo plant, which was being used to dye textiles in the burgeoning manufacturing mills in England. While Lucas had only a general idea of the process from what she had observed in the Caribbean, for years she directed experiments to develop productive methods for South Carolina conditions. African slaves might have brought techniques for both indigo and rice cultivation and processing to the American and Caribbean colonies. Eliza was soon making high-quality blue indigo dye that was in great demand in England. She shared her discovery with her South Carolina neighbors, creating an industry that would sustain the Carolina economy for three decades. Indigo exports grew from 5000 pounds to 130,000 pounds within two years, and became second only to rice as a cash crop. The so-called Indigo Bonanza saw indigo planters double their money every three to four years from 1745 until 1775, when the American Revolution (1775–83) brought an end to trade with Britain. By 1775, South Carolina was exporting over 1 million pounds of indigo annually, with a present-day value of over $30 million. The production of indigo dye in Pinckney’s time was a labor intensive procedure. In order to produce the dye, farmers grew the indigo plants, harvested the plants, and submitted them to an intricate extraction process. Identifying the peak harvest time was vital to achieving a vivid color. Workers, usually slaves, threw the freshly cut plants into a large wooden vat, covered the plants with water, and pounded them until they began to ferment, a process taking approximately eight to twenty hours. The mixture had to be tended the entire time, day and night. Once the water began to turn blue, thicken, and bubble, workers, again usually slaves, moved the liquid to the next vat where it was continuously churned. When the dye particles began to separate from the water, workers allowed the mixture to settle and siphoned off the liquid. They transferred the residue to a third vat to sit for eight to ten hours, then strained the paste and hung it in cloth bags to drain. As the indigo hardened, laborers cut it into squares, and again left it to dry in the shade until completely hard and shippable. Eliza also experimented with other crops. She planted a large fig orchard, with the intention of drying figs for export, and experimented with flax, hemp, and silk. With the autonomy and economic power she gained in running the plantations, Eliza could reject the suitors her father recommended and choose her own husband. 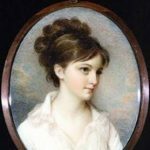 In 1744, after her triumph with indigo, Eliza Lucas Pinckney left her father’s plantation to marry Charles Pinckney, an influential colonist, close friend since her arrival in the colonies, and a recent widower twice her age. She gave birth to her first child in 1746, and within five years, there were four children – three sons and a daughter. One of her sons died in infancy. Eliza experimented with progressive early childhood education, subscribing to the tabula rasa theories of John Locke, where a person’s mind at birth is thought to be like a blank slate upon which personal experiences create an impression. In 1753, Eliza relocated to England with her husband, where he served as colonial agent for South Carolina. 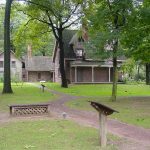 They returned to the colonies in 1758 to take care of some business, and within six weeks of their arrival Charles died of malaria, leaving Eliza Pinckney again facing the familiar challenges of running a plantation alone. She deeply mourned her husband and never remarried. After her husband’s death, Eliza spent the rest of her life overseeing their plantations, in addition to raising her children. She invested the money she had earned from exporting indigo in her children’s education. Although the British destroyed the Pinckney plantations during the Revolutionary War, the family continued its prominence. Eliza’s sons, Charles Cotesworth and Thomas Pinckney, were both American generals during the war. 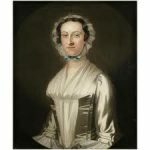 The progressive education she gave her sons enabled them to play major roles in the American Revolution, and in the government of the newly-formed United States of America. Charles Pinckney was a signer of the United States Constitution, and after the war, he experimented with another new crop, cotton, which would become profitable across the South. Thomas Pinckney was the United States Minister to Spain and to Great Britain. In 1793, Eliza died in Philadelphia, where she had gone for medical treatment. She was so well regarded by her contemporaries, that President George Washington served as one of the pallbearers at her funeral. Her headstone in St. Peter’s Churchyard in Philadelphia reads “Eliza Lucas Pinckney, 1722-1793, lies buried in unmarked grave. Mother of Two S.C. signers of Declaration of Independence.” Actually, Eliza’s son Charles Cotesworth Pinckney and his cousin Charles Pinckney signed the U.S. Constitution. Neither signed the Declaration of Independence. The writing Eliza had done during her lifetime was published in 1850 as The Journal and Letters of Eliza Lucas. In 1989, Eliza was the first woman inducted into the South Carolina Business Hall of Fame, for her contributions to South Carolina’s agriculture.